What is a Chief Sustainability Officer? Chief Sustainability Officer (CSO) is a relatively new C-level executive position that was created primarily to help companies internalize sustainability best practices within their organizations. Business models that only consider short term profits when introducing new products and initiatives are no longer viable in today’s global marketplace. Nearly all national governments have prudently enacted regulations that help to protect their people and natural resources. Subsequently, companies that want to do business in these markets often have to comply with environmental standards, social reform initiatives and laws that address other sustainability issues. Chief sustainability officers make sure that their corporations meet or exceed the increasingly high sustainability standards that are expected by their customers, shareholders, business partners and employees. Here are some examples of specific duties undertaken by chief sustainability officers, the key challenges that they face and the career path for becoming one. One of the most important jobs of chief sustainability oficers is to help generate sustainability strategies, policies and plans that align with corporate missions and visions. These work products typically provide the scope for any sustainability projects and initiatives that are birthed by the CSO and his or her subordinates. The proposed sustainability projects and initiatives that CSOs oversee are usually designed to identify and exploit efficiencies that result in enterprise wide cost reductions or measurable increases in productivity. CSOs also maintain working knowledge about environmental and labor laws, and they ensure that their organizations comply with those laws that impact all operational service areas. Job duties become increasingly complex for CSOs who work for multinational companies. Chief Sustainability Officers are usually great communicators who have honed a variety of interpersonal skills as well as scientific knowledge, and these abilities are needed to gain buy in from senior level executives, the workforce and nearly everyone in between. Creating business cases for sustainability initiatives that describe the initiatives’ long term benefits to companies’ profitability goals and responsibilities to shareholders is one of the biggest challenges faced by CSOs. Getting buy in from the work force on proposed initiatives is another hurdle that CSOs must conquer in their efforts to infuse a sustainability mindset into the company culture. Savvy CSOs understand the attitudes and behavior patterns of company employees, and they choose a limited set of initiatives that compliment those attitudes and behaviors, according to Forbes. For example, many companies are filled with high achieving professionals who enjoy active healthy lifestyles. CSOs can promote walk, run or bike to work initiatives that allow these employees to decrease their fuel consumption and toxic emissions while they get the exercise that they would normally perform anyway. CSOs can create an accepting work environment for this type of initiative by providing participating employees with access to showers, rides when inclement weather arises and flexible clock in times for work. Other ideal outcomes of this initiative are healthier, more productive workers who may not need expensive medical care; these are benefits that help to sell the initiative to senior executives. Chief Sustainability Officers usually begin their careers by obtaining undergraduate degrees in areas like environmental management, biology or business administration. Most CSOs acquire advanced degrees in management before they reach the C-level executive position. Professional development and networking opportunities that can be obtained through membership in industry associations like the International Society of Sustainability Professionals are also key considerations for aspiring CSOs who want to gain increasingly responsible job opportunities. 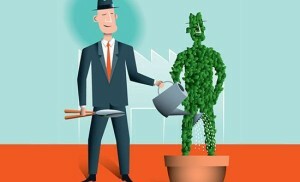 While most business professionals ambitiously hone their technical skills in hopes of one day attaining executive positions such as chief financial officer or chief operating officer, those who have a passion for conserving the environment and championing social reforms can now also reach the C-level executive ranks through the position of chief sustainability officer. However, the role of a successful chief sustainability officer requires a broad range of skills that are heavily management and leadership centric.